Do you want more time ? : Is There A Problem Here? 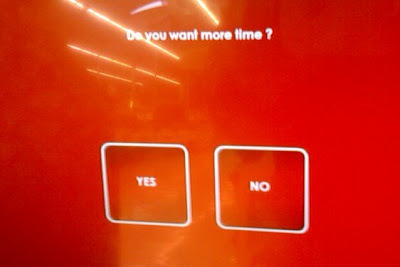 : Do you want more time ? Do you want more time ? DVDs can be rented from Red Box kiosks for $1 a day. I don't rent many movies, but I find Red Box to be a very convenient -- especially due to being able to return movies to any Red box kiosk anywhere. 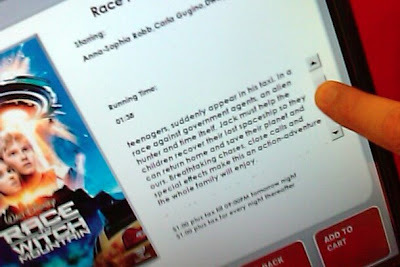 However, there is an annoyance that occurs almost every time I browse available movies at a Red box kiosk. Often, the first time I drag a scroll bar on a kiosk's touch screen, the screen clears and the system asks "Do you want more time ?". Yes, I want more time. Why am I being prompted with what appears to be a session timeout prompt when I am actively interacting with the kiosk's user interface?